I get very excited when I hear that an actor is excited for their role, that always makes me very happy and hopeful. 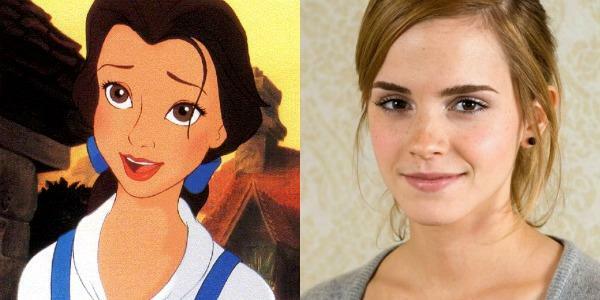 The movie will be directed by Guillermo del Toro, no word yet on who will be playing the Beast. 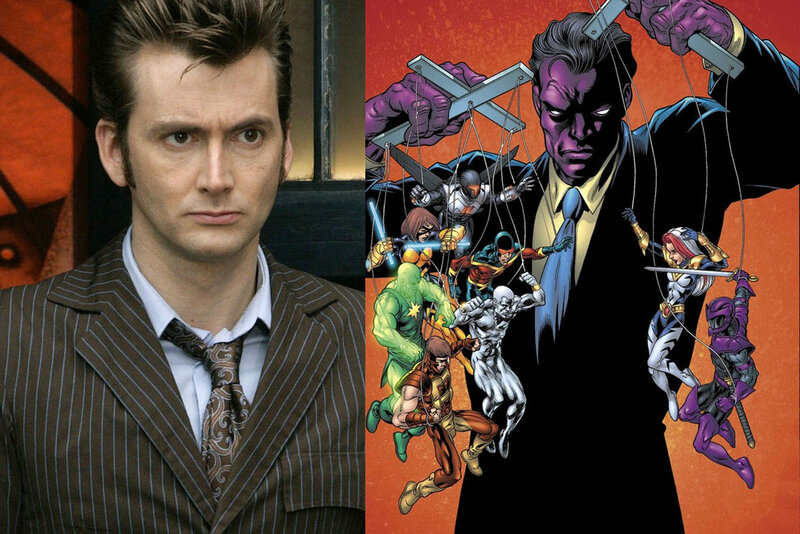 In other casting news The Doctor himself has been cast as a villain in the upcoming Jessica Jones TV series on Netflix. David Tennant will be playing Killgrave who is one of the main villains. The creators of the show are very excited to have him on board. Jessica Jones will be played by Krysten Ritter. 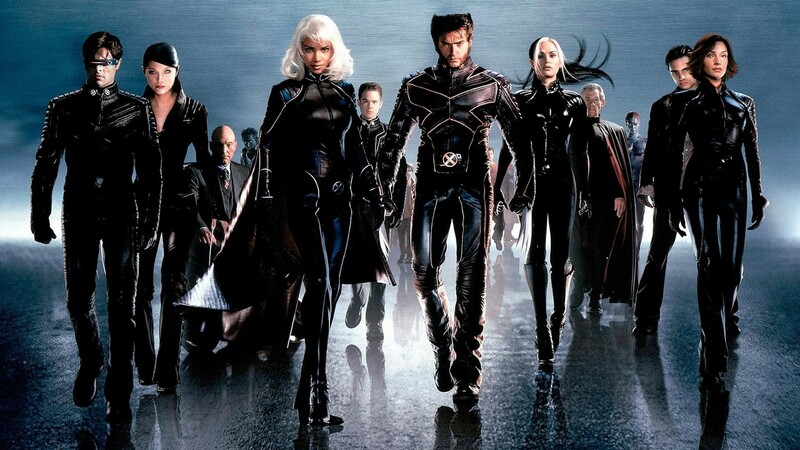 In TV show news, Fox is in negotiations with Marvel about creating an a live action X-Men TV show. 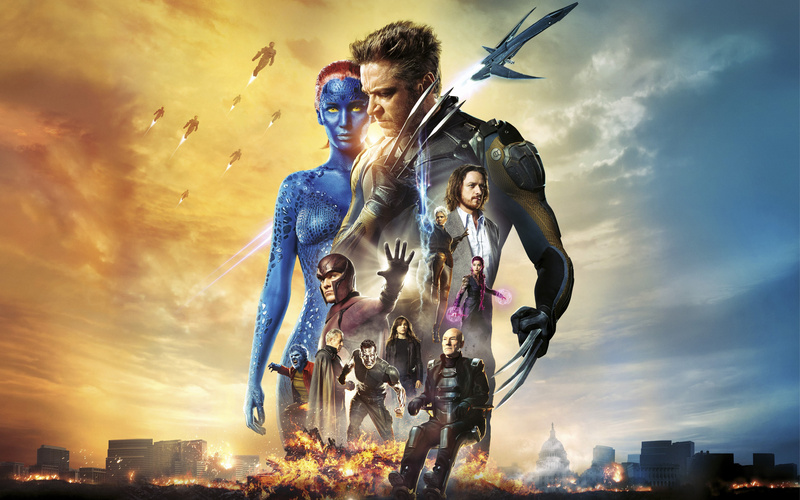 While Fox does own the right to the X-Men franchise, the fully extent of the rights are not known. It is not shocking to see Fox jump on the live action show bandwagon since Marvel has had success with Agents of SHIELD. Nothing is set in stone, we would not see the show before 2016, but they are hopeful for the show. Especially since Fox has had such great success with Gotham, some of the people from 24 and Star Trek 3 are being names as producers and writers on the show. 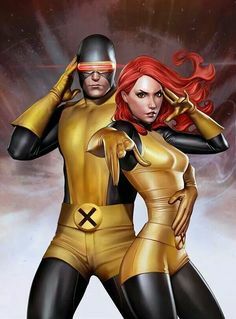 I would love to see a live action X-Men show, it would be interesting to see which of the comics they would use and what storylines they would use. It could be really interesting because there are a lot of great stories to choose from. 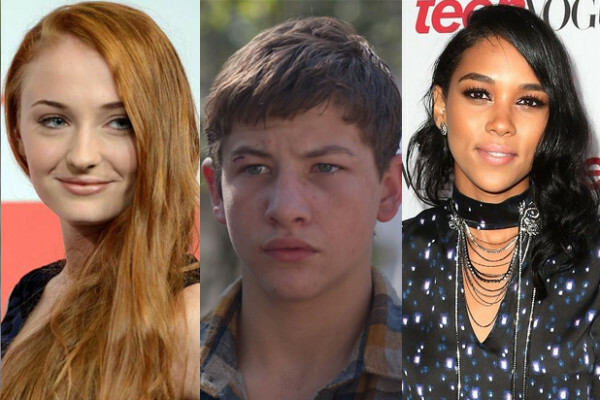 With the younger cast they have for the movies they could start off with a some of the earlier storylines. That is if it will be the same cast from the movies, but that would be absolutely awesome, since it is an ensemble cast, they could very easily rotate people. I am curious to see what happens with this development. Those are all the new stories that broke out today, but it was a great day for news. We will do our best to keep you up to date will all of these stories and more. 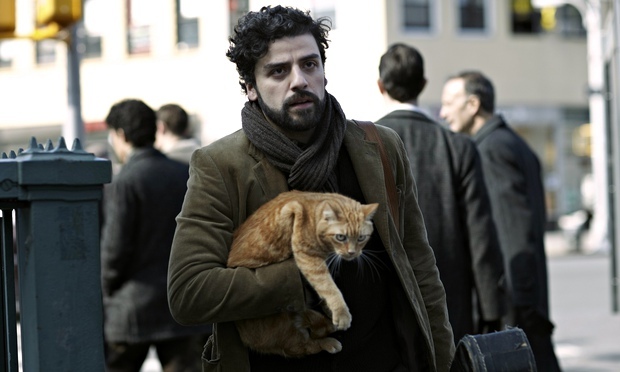 Oscar Isaac (“Inside Llewyn Davis”) has been cast as the titular villain for the next installment of Fox’s X-Men movie franchise. No word on how the actor will portray him, yet. That is, whether he’lll appear human, be under heavy make-up, or pretty much just be a CG creation a la Josh Brolin’s Thanos. “X-Men: Apocalypse” is almost certainly going to revolve around the villain of the same name, and many have been left to speculate that the movie will be heavily based on the 1995 comics storyline “Age of Apocalypse,” wherein the villain is the ruler of a world where mutants have risen up to overthrow and enslave humans. And by young, we mean young. For Xavier’s School for Gifted Youngsters! 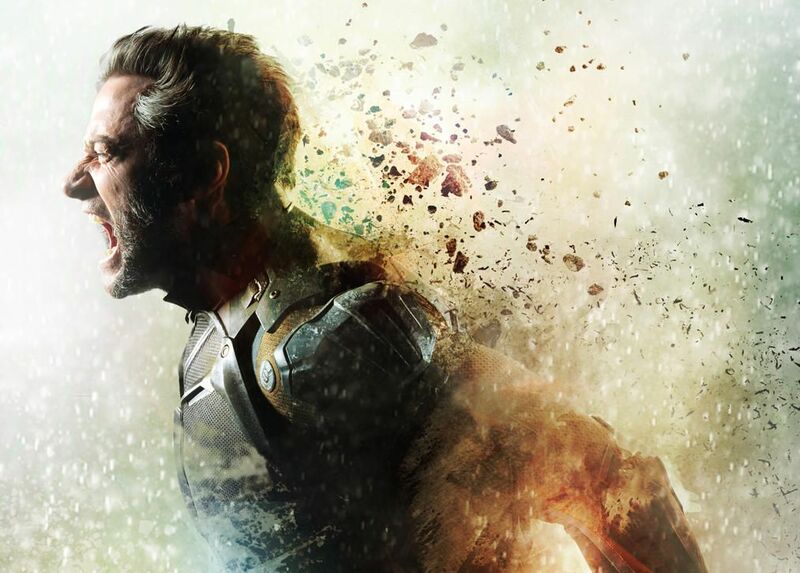 According to reports, Bryan Singer is faced with recasting two of the most iconic X-Men for their roles in the Apocalypse inspired next installment of the (basically-rebooted) X-Men franchise. 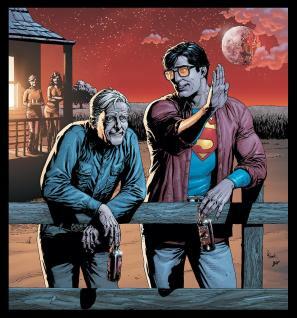 In honors of Father’s Day, the ladies of the TFP wanted to spotlight some of our favorite dads in the DC and Marvel Universe. 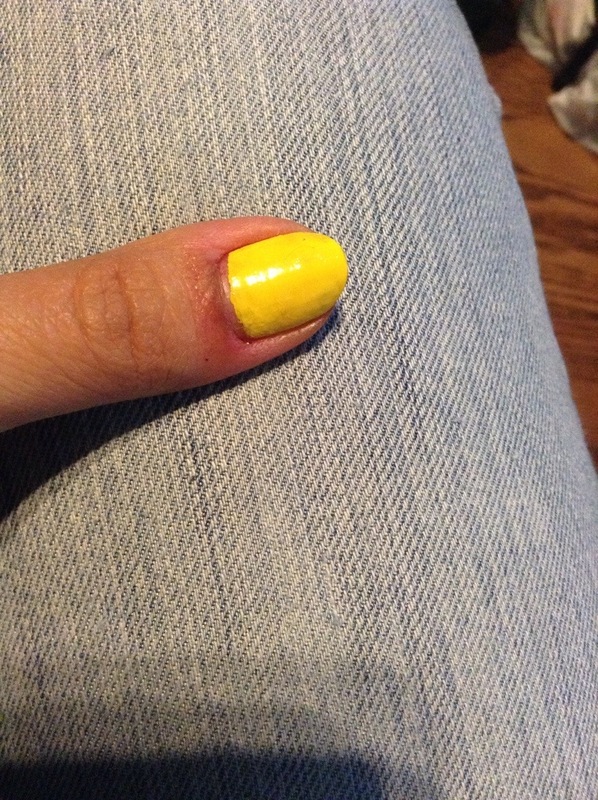 After a long hiatus– and because I managed to break every single nail repeatedly for several weeks Ina row– Manicure Mondays are back at TFP! 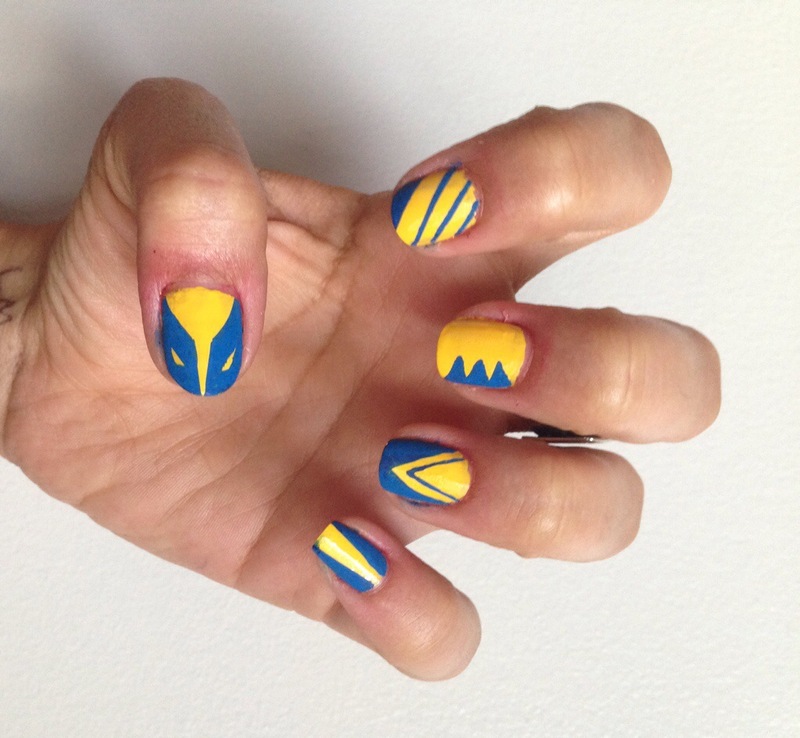 This week, we do a little mutant magic and have a set of nails inspired by probably the best known of the X-Men, Wolverine! Modeled after his classic blue and yellow costume, of course. 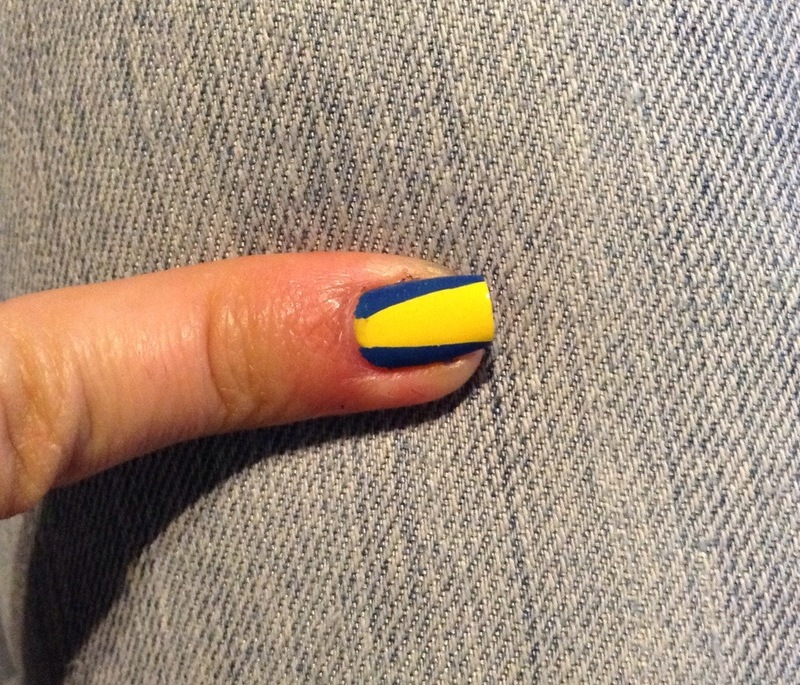 Start out with a nice bright yellow, painting every nail the same colour. Now, for the designs, you really have got quite a few options here. And all that you’ll need is a blue nail polish pen. 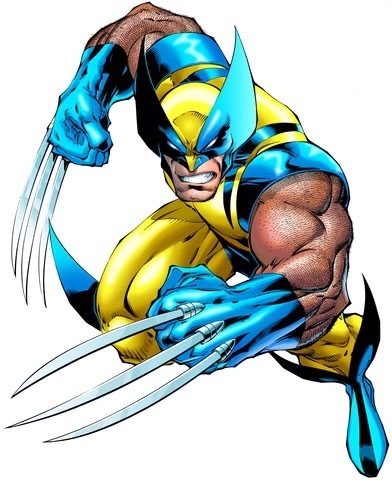 For the first nail, a simple set of three thin lines at an angle to represent his trademarked adamantium claws. For the second, a set of three triangular marks like those on his costume over the obliques. 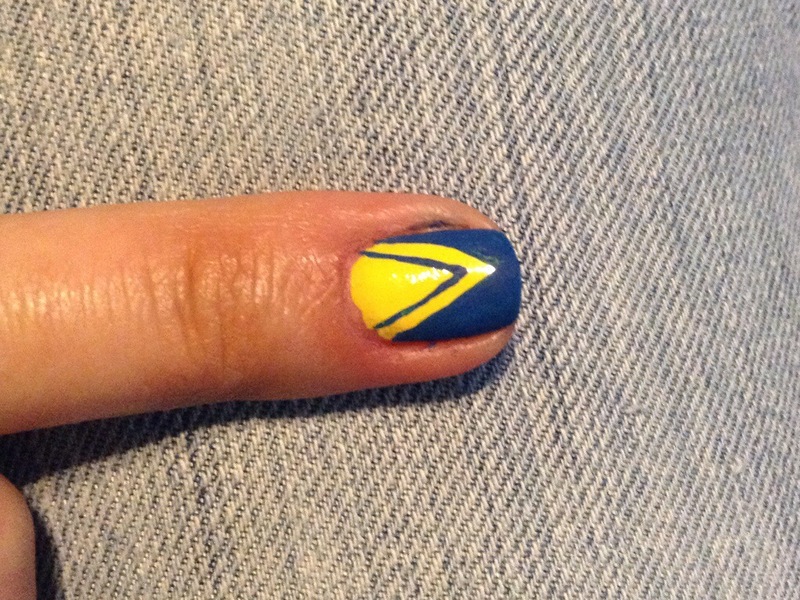 For the third, a double-walled yellow knockout of a triangle surrounded by a flood of blue, like it looks coming up and over his collarbones. 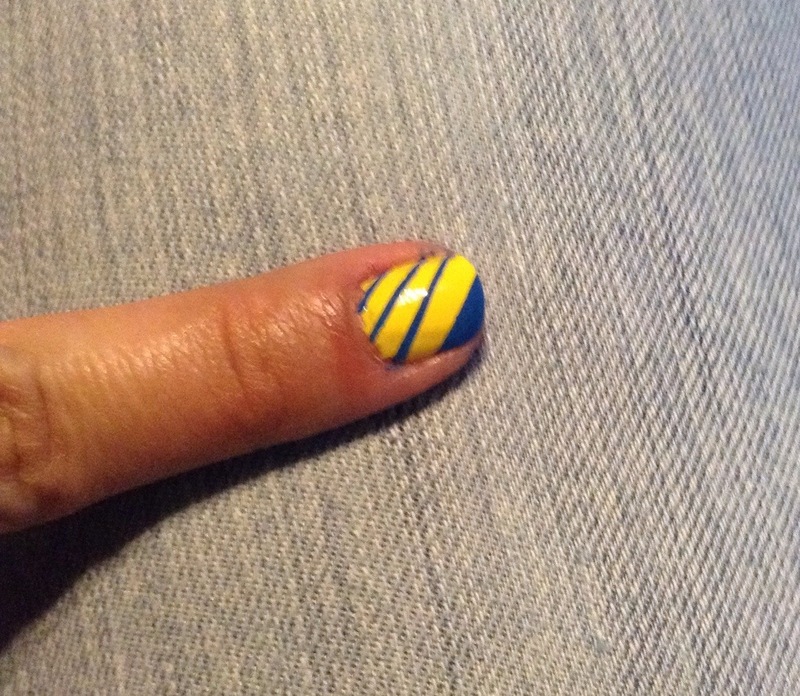 For the fourth, the pinkie, an easy set of simple, tapered lines, like the ones that run down the front of his torso. 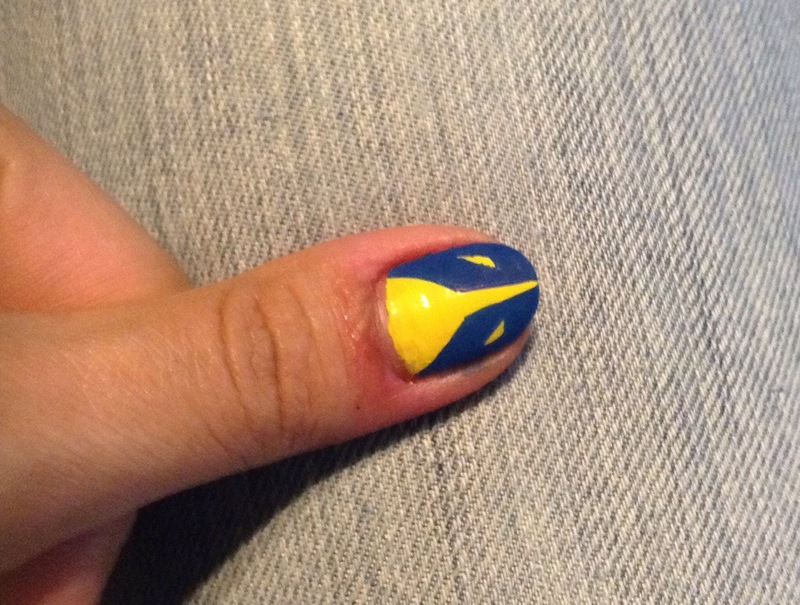 And, last, the thumb, with artwork inspired by his mask. Of course, you don’t have to stick to these five designs by any means. Throw in an “X” symbol in a circle. Reverse some of the colours. Use the brown and burnt orange palette or black and yellow or black and grey to reflect some of his other costumes. Just have fun with it! 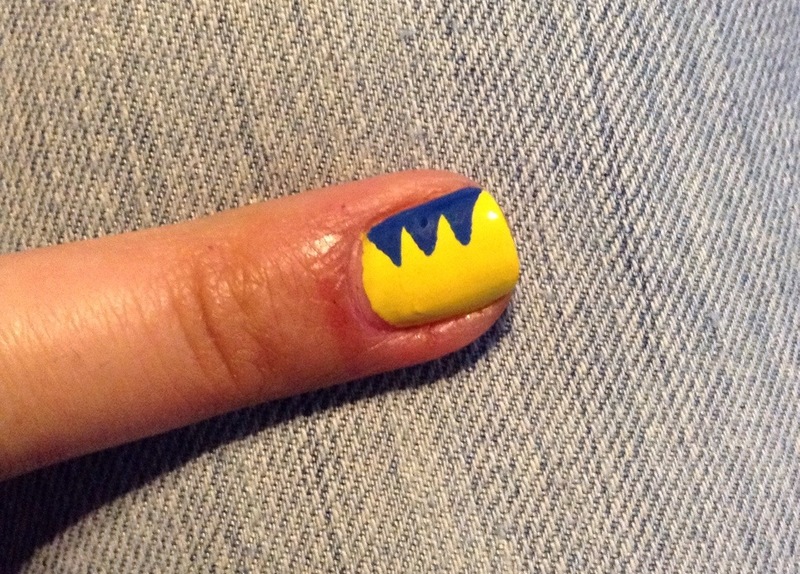 Let us know if you try any of our Monday Manicures for yourselves! We love comments and unique takes on our stuff! 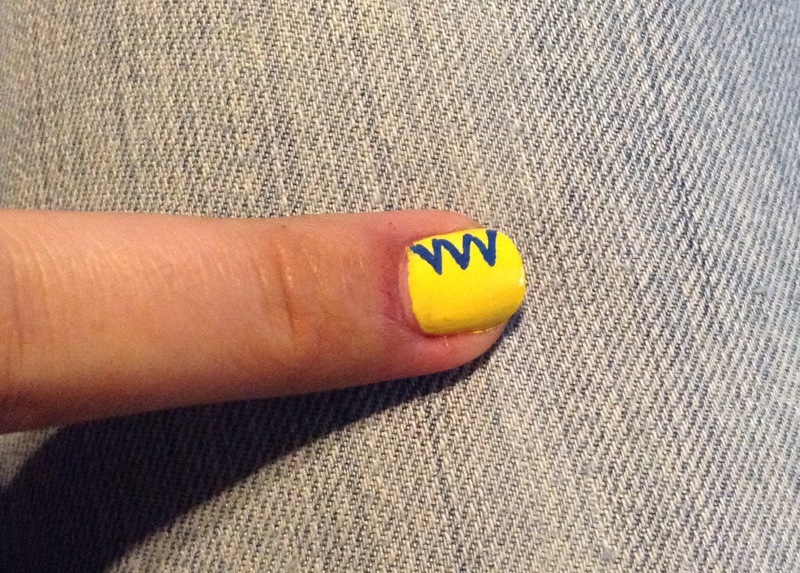 And, of course, suggestions for future Manicure Mondays are always welcomed. HO-Kay. Still not quite come down from this movie, but let’s take a second to talk about that end credits scene. This post doesn’t contain actual spoilers for anything that happens in the body of the film (I might allude to things, but I won’t specify), but if you’d still like to be surprised by the post-credits stinger, then please revisit us when you’ve already seen the movie. Hmmm… I actually really like this poster a lot. Seen Days of Future Past? Grateful for Anna Paquin being mostly cut from the film but still a slave to morbid curiosity and therefore curious as to what exactly her story would have been? Well, here’s a look into what that might have entailed. Above, I’ve got a screengrab taken from one of the first trailers. It shows Magneto and Rogue and some dude supporting her, probably Ice Man. So, really, it looks like this is a whole damsel-saving deal and, frankly, if it features more of Rogue being useless, then I’m alright with her having been almost entirely cut from the film. Guess we’ll have to wait for the DVD/Blu-Ray to see what exactly it all entailed. Be sure that we’re going to revisit this scene then.